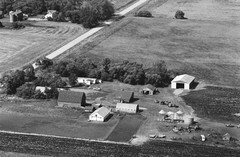 I was born and raised here with my two brothers, mom and dad. 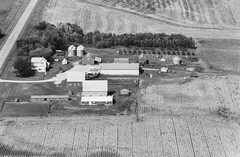 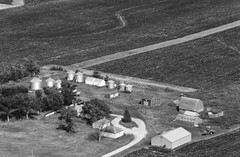 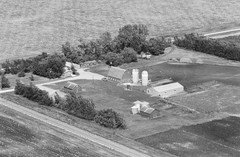 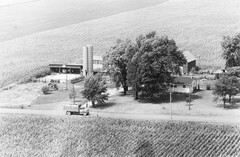 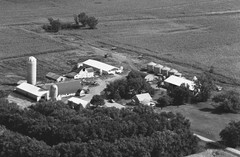 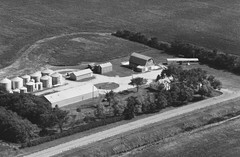 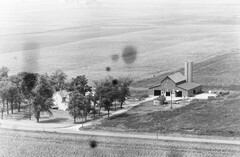 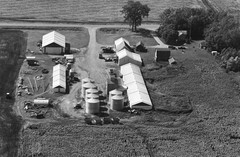 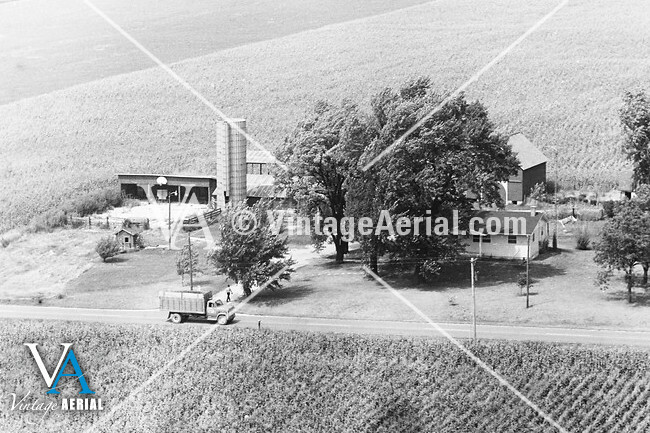 Dad bought the 120 acre farm in 1956 for $325 per acre. 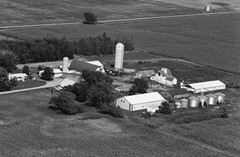 It sold for $7200 per acre in 2011. 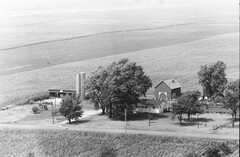 The silo, cattle barn and well house are gone, and the hay shed is closed in. 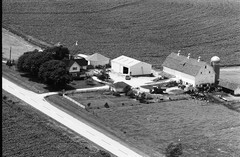 The house was built in 1966, and between knocking down the old house and finishing the "new" house, we lived in the grainary. 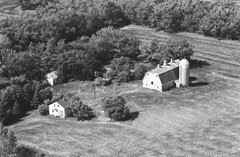 Our privy was a toilet seat on top of a pea box nailed to a hole in the wood floor of the chicken house.